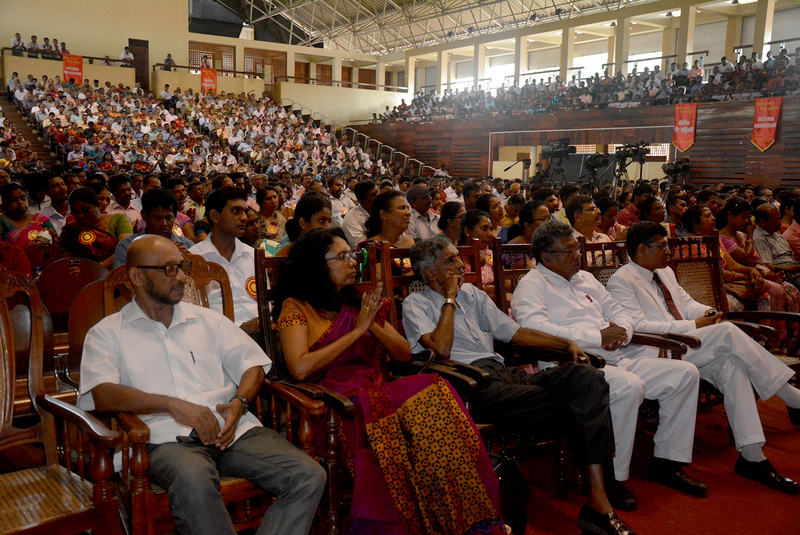 The 19th National Convention of the Lanka Teacher Services Union (LTSU) was held at Youth Center at Maharagama yesterday (21st) with the participation of a large number of teachers. The keynote address of the Convention, held with the leadership of the General Secretary of the LTSU Mahinda Jayasinghe, was delivered by the Leader of the JVP Anura Dissanayaka. The President of National Trade Union Center (NTUC) K.D. Lal Kantha also addressed the Convention. A team of new office bearers for the LTSU was elected and a set of resolutions needed to solve the serious issues confronted by the education sector was adopted.